As head of one of the world’s longest running and most influential record labels, Simon Dunmore’s legacy is already assured. 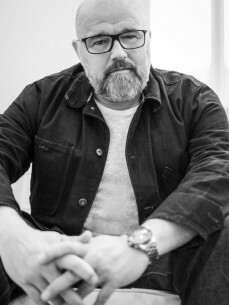 The man behind Defected has cultivated a unique position within the dance music industry, being one of very few who can lay claim to spearheading an independent music platform with a list of successes and achievements to rival most of the majors. Simon has run the award-winning Defected Records since 1999 and has held a respected position within the international music industry for over 25 years. Before establishing Defected, Simon learnt the music industry ropes working in music journalism, promotions and A&R while honing his skills as a DJ. His experience is reflected in the outstanding success of the label for which he pulled all his knowledge together, making an exceptionally strong foundation for his business. The first record he released on Defected Records was Soulsearcher’s ‘I Can’t Get Enough’ which reached No. 8 in the UK singles charts, followed soon after by the No.1 single ‘Another Chance’ by Roger Sanchez. MK’s remix of Storm Queen’s ‘Look Right Through’ subsequently marked the label’s second No.1 single in 2013. An Outstanding Achievement award presented at Pete Tong’s International Music Summit in 2012 saw the industry itself acknowledging Simon’s priceless contribution over the course of his career. In 2014, the label celebrated 15 years in the business with a huge global tour, commemorated with a cover feature in the world’s biggest dance music magazine Mixmag and a complete overhaul of the label’s branding. As Defected approaches its 20th year, Simon has successfully navigated his business through tough periods of transition within the music industry to expand exponentially. At the end of 2017 the Defected track ‘Cola’ by CamelPhat & Elderbrook was nominated for a Grammy Award, selling over 1m copies worldwide and achieving Platinum sales. Always paying respect to house music heritage while keeping his finger on the industry’s pulse, Simon has acquired a remarkable list of sub-labels and heritage catalogues that bridge the full spectrum of house music, including; Classic Music Company, 4 To The Floor, Movin’, Nu Groove Records, Soulfuric, DFTD, as well as disco phenomenon Glitterbox, an extraordinary new enterprise encompassing parties all over the world and its own imprint. As world-class events outfits, Defected and Glitterbox have toured clubs and festivals worldwide. Since 2005, Defected’s hugely successful Ibiza seasons have graced world famous clubs Pacha, Booom!, Amnesia and Eden. The Glitterbox extravaganza lived at Space for two years before finding home at the island’s state-of-the-art super-club Hï Ibiza. Not content with all of that, Simon launched Defected Croatia festival in 2016, bringing the international family together every August for what Simon has described as his proudest moments to date. Meanwhile throughout all of the label’s activities, Simon maintains a busy DJ touring schedule, lighting up dancefloors wherever he goes with his intuitive mix of soulful, vocal house and disco. He remains a truly driving force in the house music industry. The recipe for success has been simple and effective; a good helping of adaptability and an eye for young talent together with his loyalty towards established names, mixed with his robust core ethos and never trying to cater for what’s considered ‘trendy’. His enterprising nature and dedication to his music allows Defected to continue its forward motion – adapting, evolving and paving the way for others to follow, but never replicate.